China's biggest annual shopping bonanza smashed records Tuesday as online sales on Alibaba alone hit $9.3 billion, more than the total racked up the same day last year across the industry. That followed a frenetic morning of shopping -- sales on Alibaba's e-shopping platforms exceeded $2 billion in just the first hour. The online shopping festival is called "Singles Day," and started as a way to celebrate single people. It's now morphed into a frenzy that attracts buyers both single and paired. Last year, Singles Day sales online totaled $8 billion on Alibaba and other platforms, more than double the combined $3 billion sold in the U.S. for Black Friday and Cyber Monday, according to the Boston Consulting Group. Alibaba (BABA) accounted for 75% of all online shopping on Singles Day last year. If that ratio is repeated this year, total sales will exceed $10 billion. People bought everything from dried cranberries to home appliances. Chinese smartphone maker Xiaomi said it sold 720,000 smartphones, bringing in $163 million in sales in 12 hours. Singles Day began as a cheeky antidote to Valentine's Day. It takes place each year on Nov. 11 -- or 11/11, representing four single people. On the day, it's common to exchange gifts and eat fried dough strips -- like a churro -- because they look like the number "1." Chinese tech giant Alibaba moved to capitalize on the shopping fervor back in 2009, when it began promoting special discounts to lure in more customers. Alibaba offers deals on everything -- food, apparel, electronics, home appliances, cosmetics and more. Last year, a 13-carat diamond was sold for nearly $4 million. This year, Alibaba went beyond China, partnering with sellers on its online marketplaces to lure shoppers around the globe with bargains. Customers from 217 countries and regions placed orders, with 43% of total online sales coming through mobile devices. Although rival e-commerce firms such as JD.com also offer discounts and see a high volume of sales, much of the focus is on how Alibaba performs. This year's shopping holiday is the first since the firm posted its $25 billion record-breaking New York IPO. Alibaba shares dipped nearly 4% despite the bumper sales but are still up 24% since its debut. Alibaba is on a firm footing -- revenue soared 54% in the three months ended September from a year earlier. Experts say the one-day bonanza is gradually having less impact on its annual e-commerce sales. Last year's Nov. 11 sales accounted for 4.8% of annual e-retailing revenue, versus 6.3% in 2012. That percentage "may be less this year, because online shopping has become more of a daily habit and less of a special occasion," said Jeff Walters of the Boston Consulting Group. 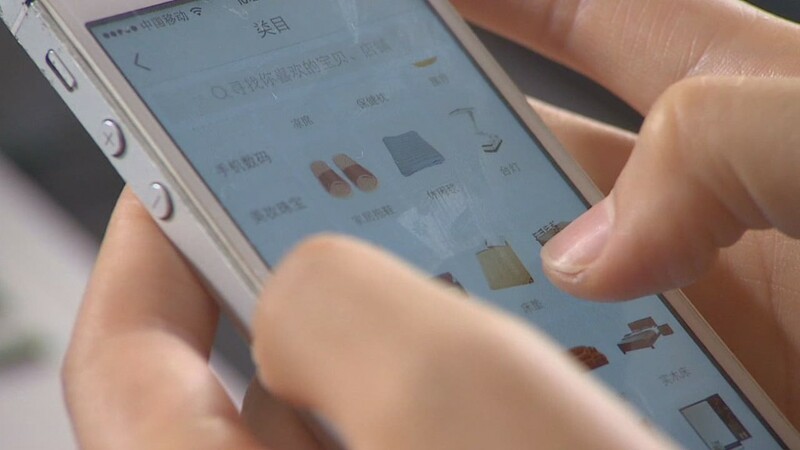 China is already the second largest online retail market in the world, and the fastest growing. The industry brought in roughly $210 billion in 2012, and is expected to hit $650 billion by 2020, according to McKinsey.